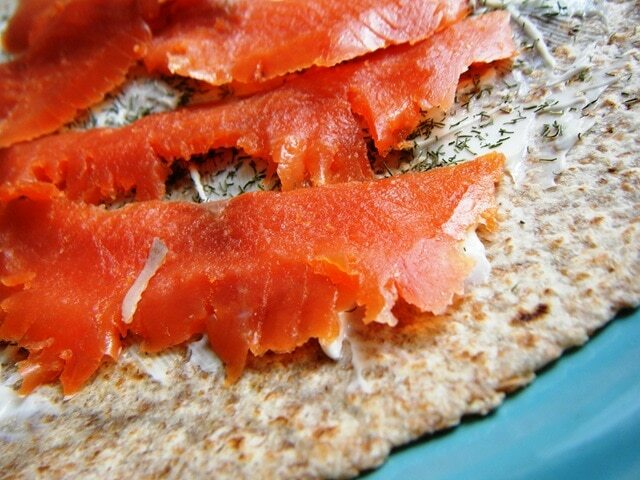 Just spread the cheese onto the wrap and sprinkle on some dried dill (this is the key ingredient! 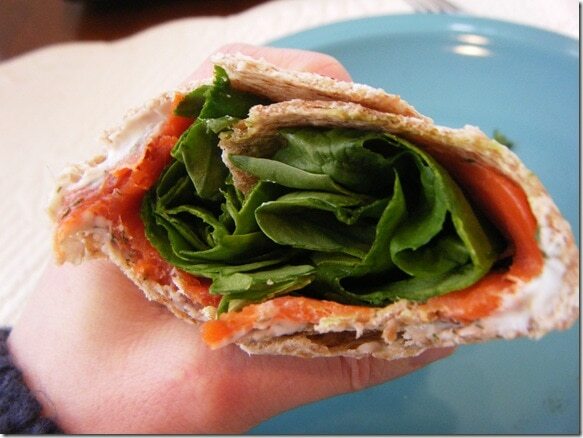 ), then top with the smoked salmon and a big handful of fresh spinach! This is delicious for lunch or as a fun and healthy party appetizer — just make a bunch of the wraps, roll them all up and cut them into bite sizes pieces held in place with toothpicks! can’t wait to try this! It sounds wonderful and I love it when I can get a healthy dose of omega-3s in so easily!